If you're looking for room, you must look at this house as it has 2,064 square feet. 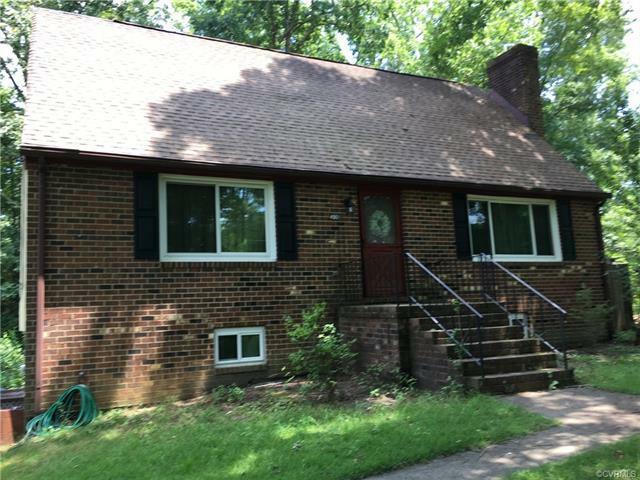 Well kept home on large lot in Prince George county. 3 bedrooms, with possible 4th on lower level. New windows and siding. Garden plot, garage on lower level (basement). Lots of built-in book cases on main level and in basement. First floor bedroom with bathroom. Large pantry in kitchen. Breakfast room off the kitchen where you can watch the squirrels and rabbits have their breakfast while you sip your coffee. Large back yard. Owner has reduced price to reflect assessed value and is offering $10,000 for closing costs and/or redecorating expenses as desired by a purchaser.